Just like your car, your garage door needs a Garage Door Tune-up. Have your garage doors and electric openers inspected and serviced annually to help prevent future problems and maintain your warranty. Garage Doors and Overhead Doors are the largest and most used openings in your home or business and they need to function properly for your safety and security. We urge you to have your door system professionally inspected annually with the Precision Maintenance Program. An annual 25 point inspection of your entire garage door system. Careful inspection and any necessary adjustments to the counterbalance system including spring tension, bearings, cables and attached hardware. Careful inspection and necessary adjustments of all fasteners, hinges, top brackets, bottom brackets, tracks and rollers. Lubrication of all moving door parts. Careful inspection of your electric operator, test the reversing mechanism including necessary adjustments to limit switches and lubrication of appropriate parts. Recommendations on how to use your existing door more safely. A written recommendation will be given for any further repairs needed prior to additional work being completed. 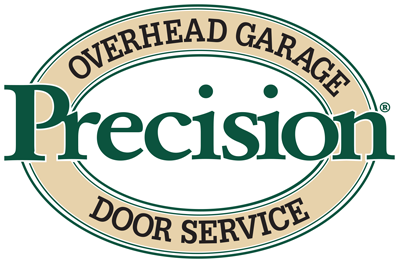 Your Precision Maintenance Program keeps your garage door system running efficiently and provides preventative maintenance to lessen the chances of mechanical failure. Your maintenance service will be provided by one of Precision Garage Door Services’ highly qualified and certified technicians that has completed some the most extensive and rigorous training in the industry. You'll never need to worry or even remember. We will contact you annually to set up your maintenance appointment.